I’m old school. I’m not a big fan of texting, twitter, reality TV. I like Major League Baseball as it has held on to most of its traditions and really could care less about the NBA as it has not. Coke, yes; Pepsi, no. And so on. So when it comes to golf, I’m sure most people would anticipate my disapproval of anchored putters. And they would indeed be correct. But the reason I do not think they have a place in golf is that it just isn’t a golf swing. Recently, the USGA proposed a ban on anchored putters which I am obviously and wholeheartedly in favor of. Outstanding. In response, the PGA Tour recently came out against the USGA and said that anchored putters should continue to be allowed in golf. Their “reasoning” was something along the lines of until there is evidence that anchored putters provide an advantage they want them to continue to be allowed (I personally think it was mostly to stave off a lawsuit from pros who use anchored putters). My rebuttal to their lack of reasoning would be this: That is not the point. While I would agree that it doesn’t automatically help everyone (Yes, I’m looking at you tourney partner.) I could just as easily argue that it has indeed helped some players dramatically. But the crux of the matter is that it’s still NOT a golf swing. If I flopped down on my belly and hit my putt like a cue ball with the grip end of my putter, I would be penalized. It’s against the rules. But it hasn’t been against the rules forever. 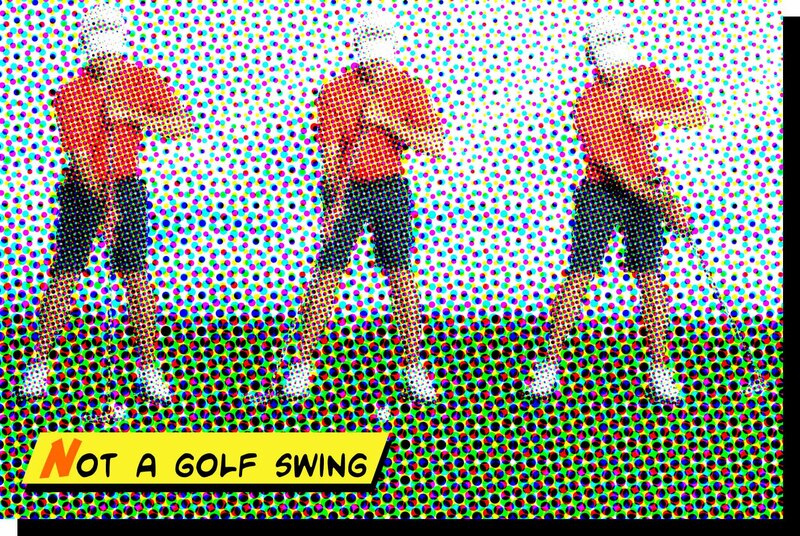 They put it in the rule book many years ago to clarify what was and wasn’t a swing. That is all the USGA is doing this time as well. If the PGA really wants to help the game of golf, why don’t they start with working to keep rounds of golf less than 4 hours? Eliminate anchoring in golf. As Tiger Woods recently said when asked about PGA Tour Commissioner Tim Finchem coming out publicly against the proposed USGA ban, “I understand his position, but I still feel that all 14 clubs should be swung.” Nicely said Tiger.